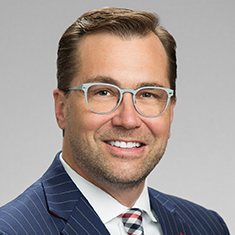 David Washburn is head of the Corporate practice of Katten's Dallas office, and has been recognized as one of the Best Lawyers in America since 2015. He is routinely engaged by boards, senior management, investment bankers and other counsel who are tasked with managing mission-critical mergers and acquisitions transactions. David was the lead M&A attorney on the 2012 Aerospace and Defense Deal of the Year. The Legal 500 said of David, "His straight-forward, goal-oriented, 'place-the-client's-objectives-first' attitude is refreshing and places him in a very small elite of attorneys. He always delivers prompt, courteous, best practice services." David also represents a variety of clients in the corporate component of governance matters related to post-closing litigation, government or audit committee investigations, and other regulatory review proceedings. Shown below is a selection of J. David’s engagements. Lead counsel in M&A transactions in a variety of industries including technology, aerospace, automotive, food and beverage, health care, oil and gas, manufacturing, distribution, timeshare, finance, and construction services. Representation of a regional chain of RV superstores in its sale to a private equity-led acquirer. Representation of one of the country’s largest mechanical products and services company in numerous strategic M&A transactions. Representation of a prominent SaaS developer in the insurance industry in its sale of equity to a technology-focused private equity firm. Representation of a food manufacturer in its sale to a private equity-led acquirer. Representation of one of the largest private investment firms in the world in its sale of a vacation ownership company, creating one of the nation's largest timeshare resort operators. Representation of one of the largest providers of recall management services to US automakers in the sale of the company to a publicly traded acquirer. Representation of three oil and gas gathering/marketing companies in their simultaneous sale to a diversified midstream MLP. Representation of a classified US drone manufacturer in the sale of the company, following an international sales process. Representation of a high-tech automotive inventory management tool/software company in its sale to a private equity investor. Representation of one of the largest telematics providers in the world in the sale of the company. Representation of a vacation ownership company in its sale to one of the largest private investment firms in the world. Representation of a provider of smartphone applications in its sale. Representation of a leading global information and communications technology solutions provider in its acquisition of a memory enhancement product. Representation of buyers and sellers of various national and regional construction industry participants, both bonded and unbonded (including a manufacturer of high-rise and commercial construction components, a high-power line installation and service company, a bridge and infrastructure company, a turf field and sports track installer, and a large commercial and mechanical systems contractor). Representation of a domestic interexchange carrier in the acquisition of a multinational telecommunications company. Representation of the successful acquirer in a litigated contest for control of a high-growth, high-technology company. Representation of a leading technology services company in a public “merger of equals” transaction. Representation of board members in connection with critical fiduciary duty-related matters. Representation of companies in connection with FCPA investigations and inquiries. Representation of both employers and whistleblowers in connection with internal investigations, including as related to purported accounting fraud (such as revenue recognition, channel stuffing and earnings management claims), employee embezzlement, insider trading and Sarbanes-Oxley violations. Representation of special committees, individuals and companies in connection with stock option backdating investigations. Dallas Bar Association's Sixth Annual "M&A Nugget-Palooza"